Paris (AFP) - French Interior Minister Gerard Collomb told lawmakers on Monday that he did not inform Emmanuel Macron about a video showing one of the president's security aides striking a young man during a protest last May. Collomb said his staff told him about the video on May 2, the day after Alexandre Benalla beat the man during a police operation to clear protesters from a Paris square. But Collomb said it was not his role to inform prosecutors about the alleged assault. "They said they had already informed the police and alerted the president's cabinet, which was appropriate because it's up to the proper hierarchy to take all necessary measures, whether administrative or legal," he told a parliamentary commission. Since then Collomb said he had not spoken about the alleged assault by Benalla with Macron until French daily Le Monde published a video last Wednesday showing him striking a protester during the May 1 demonstrator. "I never mentioned during our meetings with the president the Benalla case," he said. In the video Benalla is seen wearing a police helmet and armband as he strikes the young man while riot police officers look on. 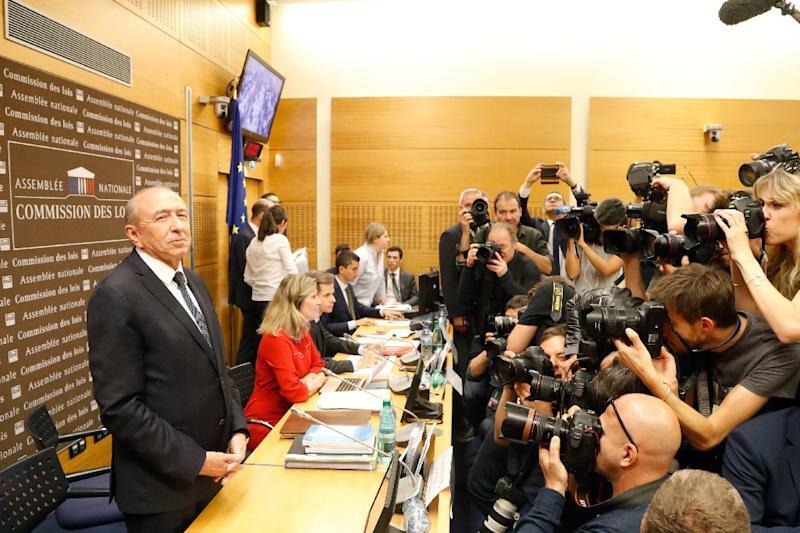 Collomb said that Benalla was supposed to assist the operation only as an observer, and that he was accompanied by an officer who was supposed to ensure he did not participate. On Sunday Benalla was charged with assault with an accomplice and impersonating a police officer. Paris police chief Michel Delpuech is scheduled to appear before the parliamentary panel later Monday.